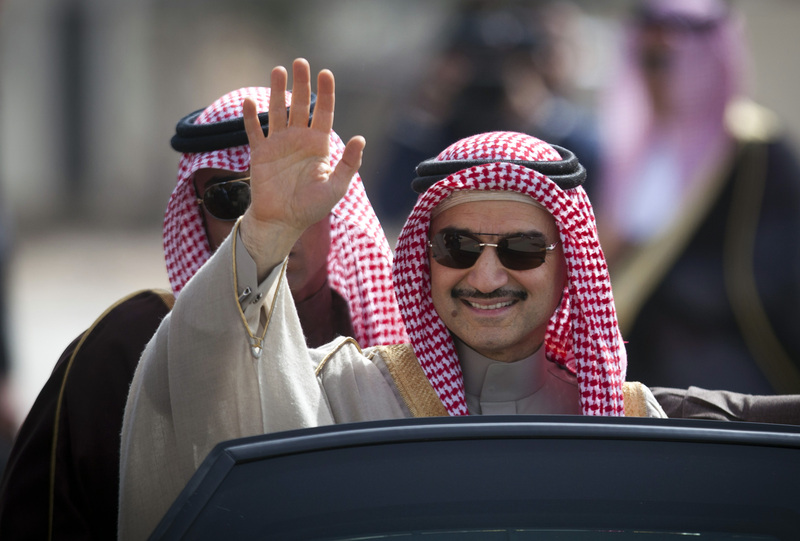 DUBAI, United Arab Emirates -- Saudi Arabia's billionaire Prince Alwaleed bin Talal, one of the world's richest people, announced Wednesday that he will donate all of his wealth of $32 billion to charity over the coming years. The money will go to the Saudi prince's organization called Alwaleed Philanthropies to work in the fields of "intercultural understanding" and supporting communities in need, he said in a statement. Programs will include promoting health, eradicating disease, bringing electricity to remote villages, building orphanages and schools, as well as "empowering women." The prince, chairman of investment firm Kingdom Holding Company, said he has already donated $3.5 billion to the charitable organization. Alwaleed joins other billionaires who have made similar pledges in recent years, such as Warren Buffett, Bill Gates, Mark Zuckerberg and Michael Bloomberg. He credited the Bill and Melinda Gates Foundation for their wide range of charitable projects and said his organization has partnered with them on health initiatives. "Philanthropy is a personal responsibility, which I embarked upon more than three decades ago and is an intrinsic part of my Islamic faith," he said in the statement, which came during the holy month of Ramadan when Muslims are encouraged to give charity and help the needy. The prince, who does not hold an official government position, built his wealth through seed money from his father and smart investments. Kingdom Holding owns stakes in hotels like The Four Seasons, Fairmont and Raffles, as well as companies such as News Corp., Citigroup, Twitter and Apple. The prince's two children were present at his boardroom when he made the announcement in Riyadh. Though he did not give an exact timeframe, Alwaleed said his billions would be allocated through a "well-devised plan" throughout the coming years. He said the donations would be based on a strategy supervised by a board of trustees, which he will head.